Below is an extended version of the Batavia story. On October 28 1628 the VOC Indiamen ship Batavia sailed from Texel in the Netherlands on her maiden journey to Batavia (modern day Jakarta) in the Dutch Colonies in Indonesia. She was accompanied by seven other ships of various sizes. These included the Buren (a warship), the Dordrecht, Galiasse and s’-Gravenhage (Retour ships), the Assendelft and the Sardaam (storeships) and a small yacht the Kleine David. In command of the Batavia was Francesco Pelsaert a senior merchant. The Company policy of appointing a merchant command of the Flagship did not find favour with ship’s Skipper Ariaen Jacobsz. The two men were old enemies from a previous journey from the Indies to Holland. Also aboard the ship was a young Lady "Lucretia van der Meylen" who was travelling to meet her husband in Batavia. The Skipper apparently tried to seduce this lady but she refused him and instead became a close friend of the Commodore. The Skipper having failed to win the lady took up with the lady’s maid Zwaantie Hendrix with greater success. The journey to disaster was to take eight months. Bad weather helped split the convoy up early and only the Batavia, Buren and Assendelft reached the Cape of Good Hope together on April 14 1629. The Skipper took the opportunity to go on a wild and violent drinking binge with Jeronimus Cornelius his (now) companion and Zwaantie Hendrix his new girlfriend (who refused the Skipper nothing). Jacobsz ended up in a fight aboard the Buren and official complaints were lodged. The Skipper was publicly dressed down by Pelsaert which enraged Jacobsz even more. It was soon after this event that Cornelius was supposed to have suggested mutiny to the Skipper. With the help of key ship personnel it would be possible to commandeer the ship, kill the soldiers, throw Pelsaert overboard and take all the treasure. The Batavia could then be used to prey on other VOC ships before retiring to some safe haven in the Indies. The idea was obviously attractive to the ego damaged Skipper. The ship carried a kings ransom in various treasures and was one of the most heavily armed ships of its time. In a time where material possessions were much more important than human life the Skipper was probably easy to convince. Meeting in secret the Mutineers laid their plans carefully. They arranged to have Lucretia Van der Meylen assaulted in a calculated taunt. The unfortunate woman was able to identify one of her attackers, Jan Evertz, by his voice and Pelsaert intended to have the man hanged as soon as they sighted the coast of the "Unknown land". Pelsaert did not realise that an attempt to punish Evertz was to be the signal for the mutiny to begin. Since the mutiny probably involved the Skipper, the undermerchant, a lance corporal and some of his soldiers and some of the Cadets (junior officers) it most certainly would have succeeded. 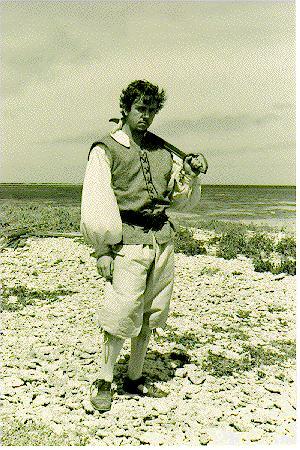 Before the mutiny could take place the Batavia ran aground on the Houtman Abrolhos. 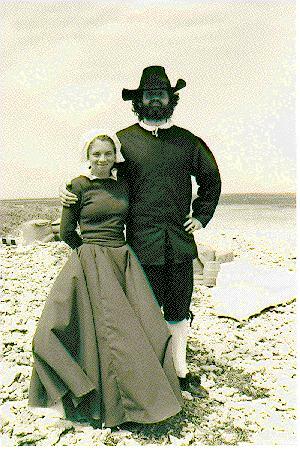 On June 4th 1629 the Batavia became wrecked on the Abrolhos Islands some 40 miles of the coast of Western Australia; it was a tragic end to her maiden voyage. Most of the passengers and crew were off-loaded onto a nearby island later known as Batavia’s Graveyard. The Commodore (Francesco Pelsaert) and the Skipper (Ariaen Jacobsz) some 30 others (mostly sailors) and most of the food and water was landed on a smaller island. Pelsaert and Jacobsz knew they were in dire straights and after much deliberation loaded the two ships boats and set sail for Batavia. They left a note for the other survivors who felt so betrayed by this desertion they named the smaller island "Traitor’s Island", a name it still bears to this day. The people left behind were in a dreadful situation and some died of thirst in the first week before some rain helped replenish supplies of water. After the initial problems of survival had been dealt with the unfortunate survivors were then to play a part in one of the most horrible tales of mutiny and murder ever told. The Undermerchant Jeronimus Cornelius, the most senior company man amongst the survivors, turned out to be a psychotic killer with an uncanny ability to control others with weaker personalities. Soon the undermerchant had sent one group of soldiers in search of water to another island and left them, hoping they would die. He then split the remaining survivors amongst some of the closer islands, none of which had any water. It was then he revealed himself and the killings began. With a loyal band of murderous young men drawn from the ship’s Junior officers, soldiery, and even cabin boys, Cornelius began to systematically kill anyone he believed would be a problem to his reign of terror, or a burden on the limited resources. He took the unwilling Lucretia as his concubine although she only submitted after not so veiled threats of death. The mutineers became intoxicated with killing and enjoyed complete control over the survivors; none could stop them. They loved to experiment with different ways of dealing death and misery, needing only the smallest excuse to murder. The survivors that were sent to other islands were systematically hunted down and killed if they hadn’t already died of thirst and hunger. Cornelius and his men strutted around the islands wearing red and gold clothing plundered from surviving company stores. The islands were theirs to do as they would except for one thing; the soldiers sent to die on one of the far islands had survived. 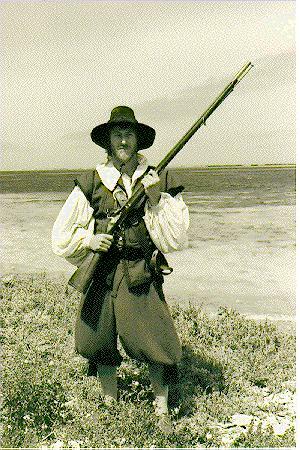 The killings had only just begun when Cornelius and his men noticed the smoke rising from the distant "high Island" meaning that the soldiers lead by Wiebbe Hayes and his men had found water. What Cornelius did not know was that Hayes and his 2 dozen or so soldiers had been sent to the only island in the group with a natural store of water; a very substantial store of water since the recent rains. The "High Island" itself had no water but another island nearby could be reached by wading through the shallows. This other island contained the water, numerous wallabies, many birds (mutton birds) and eggs. 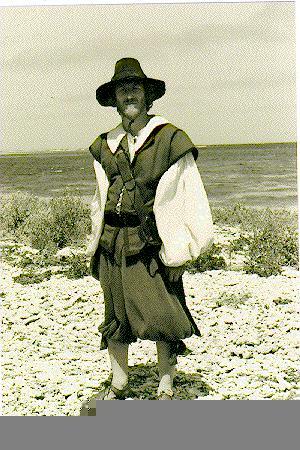 Jeronimus Cornelius had intended to send the soldiers to their deaths but instead he had sent the only group of men that could threaten his regime to the best island in the Abrolhos. The soldiers had gone to the islands without weapons but when some escapees from Cornelius’ reign of terror arrived at the island the resourceful soldiers began to construct pikes and morningstars from wreck timbers and barrel hoop iron that had had washed up on the island. Wiebbe Hayes had 45 men with him on the island. This included the original group that had been sent to look for water and some who had escaped from seal island and Batavia’s graveyard. Cornelius had some 36 men under his command (as shown on the oath of allegiance of 20th August) although some were obviously not committed mutineers. Wiebbe and his men trained in the use of their new arsenal and waited for the attack. The first attack came about the 27th of July. 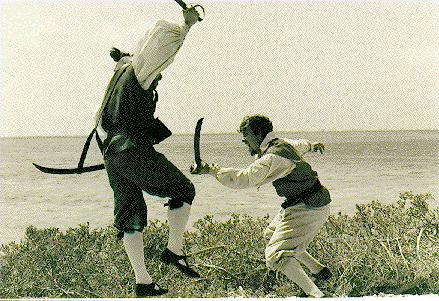 Cornelius first sent a cadet named Daniel Cornelissen to the island with a letter to the French soldiers trying to tempt them over to the mutineers. The cadet was taken captive (at least he could not sign the oath of August 20) and the note handed over to Wiebbe. Some days later the attack came, lead by Jacop Pietersz. The defenders were tougher than expected and the mutineers were forced to retreat. The documents mention stones being thrown by catapults and it may well be the soldiers were using home-made staff slings similar to those they would use for grenade hurling. The second attack came within a week with the mutineers turning out in full force with Jeronimus along to watch. Three boatloads of mutineers attacked the shore of the defenders island. Wiebbe’s men advanced knee deep into the water and held the mutineers off. Two muskets had been brought but they failed to fire and the mutineers were taunted by the defenders. There is confusion here as to if this attack happened later as part of the visit of Sept 1 and 2 but reading the translation of Pelsaert’s journal and the Predicant’s letter as well as the interpretations by Edwards, Goddard and Drake-Brockman I tend to agree with Hugh Edwards that they made this abortive attack before deciding to use guile in the visitation of September 1 and 2. On the first of September the mutineers sent the Predicant ashore to negotiate peace with the defenders. Two musketeers amongst the attackers attempted to fire at the taunting defenders but the guns did not work. Jeronimus decided to offer wine and blankets in exchange for a small boat previously brought to the island by an escapee. Jeronimus’ suggestions were relayed to Hayes via the Predicant and the negotiations were set for the next day. On September second, Jeronimus and five of his principal mutineers brought the trade goods to the island and attempted to bribe the French soldiers. Hayes had suspected treachery and his men brutally captured Jeronimus Cornelius and the other five men. Jacop Pietersz managed to escape but Coenraat van Huyssen, David Zeevanck, Gysbert van Welderen and Cornelisz Pietersz were killed. On the 16th of September the rescue yacht Sardam had sighted the islands and was making her way through the treacherous reefs. The very next day saw the final assault on Wiebbe’s island. This time the mutineers attacked with operating muskets and four defenders were wounded (one of whom died later). The attackers were still driven back (or retreated) and it was then the rescue ship was sighted. On September 17 1629 the last battle between the mutineers and Hayes men was in full swing when the rescue ship Sardaam appeared on the horizon. Hayes and some of his men seized the opportunity to leave the battle and taking a small home-made boat they were able to warn the rescuers of the mutiny and murders. The Commodore of the rescue ship was none other than Francesco Pelsaert who had made it to Batavia in the ships boat. In short time the mutineers were all rounded up, questioned and tied. The ensuing trial was extensive, thorough and quite well documented in Pelsaert’s own journal. Some mutineers needed to be put to the torture to confess but most seemed only too willing to tell the rescuers what they had done. Some like Cornelius were hanged on one of the islands, two were marooned on the coast of WA and the rest were taken back to Batavia where most of them were executed. Over 120 survivors were killed by Cornelius’ men during his brief reign of terror. Going through A copy of Pelsaert’s journal I have tried to list all the bad guys, the crimes they supposedly committed and what actually happened to them. The mutineers included some of the most powerful men aboard the Batavia. In order for any mutiny to succeed it must include men who can not only manage the ship but most importantly navigate. In the case of the Batavia not only was the Skipper implicated in the plot but many of the Cadets as well. I think that there is little doubt that had the ship not been wrecked the mutiny would have been terribly successful. Below is a list of Mutineers and some of the specific crimes that they were supposed to have committed. Undermerchant and Chemist from Hallam (Harlem?). The most senior Company man after the Skipper and Pelsaert. Leader of the Mutiny he is captured by Wiebbe Haye’s men and finally hanged on seal Island, on the morning of October 2 after having both hands cut off. Cadet and later councillor to Cornelisz. Principal mutineer and "marries" the Predicant’s daughter Judith . He is killed by Wiebbe Haye’s men on Sep 2. Clerk/Assistant and later councillor to Cornelisz. Principal mutineer. He is killed by Wiebbe Haye’s men on Sep 2. Lance Corporal and later councillor to Cornelisz. Called Cosyn (windowframe) and Stounhouwer (stonecutter) by others he was the senior ranking soldier after the disappearance of the Corporal. Helps kill Predicant’s family. Leads the first two attacks on Wiebbe Haye’s. Is captured but escapes when the others are killed on Sep 2. Taken back to Batavia where he is convicted as a mutineer and broken from "under and upwards" on the wheel. Predicant whose wife, three sons and two daughters are killed by the mutineers. He signs the oath of August 20 certainly to save his life and that of his remaining daughter Judith. After the capture of Cornelisz he remains with Wiebbe’s men who treat him well. Cadet. About 21 years old and killed or helped kill 12 people. Misbehaved with married women and kept Annie Bosschietsters (wife of Jan Castersz) as concubine. Credited with the killing of Andries de Vries. Helps kill Predicant’s family. Helps kill Passchier van der Enden, Jacop Heyndricksz and a sick boy. His right hand is cut off before hanging on Oct 2. Soldier. About 21 years old and confessed to have killed or help kill 9 people and kept a married woman (Susan Fredericks) as his concubine. Cuts the head off Coen Aldertsz to test its sharpness. His right hand was cut off before being hanged on Oct 2. Soldier. 24 years old. Confesses to killing (or helped kill) 17 or 18 people. Known to have specifically killed Denys and another man Stoffel Stoffelsz. Helped kill Andries de Vries. Helped kill the Predicants family. Helped kill van der Enden, Jacop Heyndricksz and a sick boy. His right hand was cut off before hanging on Oct 2. Gunner/Musketeer. 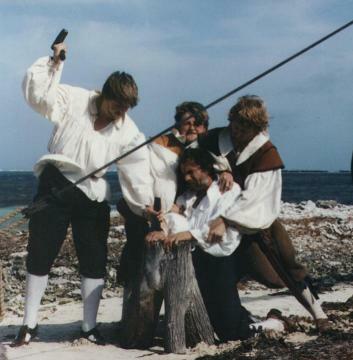 24 years old and confessed to killing Andries de Bruyr (cabin boy), helped kill Jan Pinten (an Englishman) and had tried to kill Jansz the barber’s assistant but his blunt sword only gashed the mans shoulder before he escaped in the night to Wiebbe Hayes’ island. His right hand was cut off before hanging on Oct 2. Locksmith. 23 years old Confessed to helping drown Jacob Groenewal. He wounded Paulus Barenttsz with two sword cuts before killing Claes Harmansz. He helped in the killing of Andries de Vries. He was hanged without losing a hand on Oct 2. Cabin Boy. 18 years old. Murdered a boy on seal island. Helped kill the woman Janneken Gijssen and Andries Jansz. Insisted he be allowed to cut the head off Coen Aldertsz and cried when Mattys Beer was given the honour. Misbehaved with married women (Susan and Catherine Fredericks and Annie Bosschietsters). Was sentenced to hang without his hand being cut off but after pleading for mercy he was marooned on the Australian coast. Soldier about 40 years old. Confessed to have thrust a pike through the throat of Paulus Barentsz when the man was drowning. He cut the throat of the pregnant woman May Soets and helped to kill Jannie Gist and Jan van Hummel. He helped to kill the Predicant’s family. He was hanged on Oct 2 without losing a hand. Soldier who takes part in the killing of the predicants family and is given command of the mutineers upon the capture of Jeronimus. He was to be taken to Batavia to have his guilt further investigated but acts of kindness towards Judith and Lucretia moved Pelsaert to land him on the Australian coast with Pelgrom. Cadet. Also called Hans Jacobsz. Taken to Batavia to further investigate his guilt where he was executed. Cadet. Carried a message to Wiebbe Hayes and was taken prisoner. He was taken to Batavia to further investigate his guilt and executed after his right hand was cut off. Cadet. Helped kill the Predicant’s family and was taken to Batavia to further investigate his guilt. Soldier. Taken to Batavia to further investigate his guilt. Sailor. Possibly also called Cornelisz Janz. According to Jeronimus, Jansz was one of the least guilty of the mutineers. He was taken to Batavia to further investigate his guilt. Cooper. According to Jeronimus one of the least guilty of the mutineers. Taken to Batavia to further investigate his guilt. Kills Hendrick Janz after Jeronimus gives him wine and a dagger. He was taken to Batavia to further investigate his guilt where he was whipped or executed. Cadet. Killed on Wiebbe Hayes island on Sep2. Soldier. Cut the throat of Hendrick Claesz in front of Jeronimus. He was killed on Wiebbe Hayes island on Sep2. Undermerchant. Forced to strangle an infant poisoned by Jeronimus. He was Keel hauled three times and given 100 lashes on the trip back to Batavia where he was then executed. Cadet. Accused by Jeronimus of helping kill Passchier van der Enden, Jacop Hendricksz and a sick boy. Lucas claimed that Jan Hendricks had done the killing . He was executed at Batavia. Boy. Executed or whipped at Batavia. Soldier. According to Jeronimus one of the least guilty of the mutineers. Gunner/Musketeer. According to Jeronimus one of the least guilty of the mutineers. Steward. According to Jeronimus one of the least guilty of the mutineers. Six of the minor mutineers (I don’t know which) were given assorted corporal and prison punishments. Pelsaert claims the mutineers to have been responsible for the deaths of over 120 people although a note in Goddard’s book puts the total at 96 VOC employees, 12 women and 7 children; a total of 115. 341 people were recorded in the ships articles upon departure from Texel although 332 were actually aboard when she sailed. 210 people died before the last of the survivors finally reached Batavia. 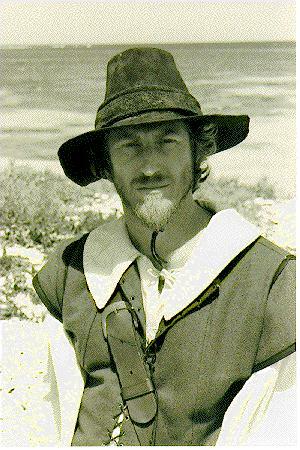 Wiebbe Hayes and many of his soldiers seemed to have been singled out very early on as potential threat to the designs of the Mutineers. Cornelius sent Hayes and his men to the high island (without weapons) certain that they woud die of thirst. Hayes and his men found water and fresh meat and thrived. Later they were joined by people who had managed to escape the slaughter and so they were able to make an organised stand against the mutineers. Hayes and his men could have joined the Mutineers but they chose to oppose them and fought for what they believed in. The translation from Pelsaert’s Journal in Goddard’s book only mentions three of the Defenders by name. Wiebbe Hayes of Winnhooten, and two cadets(ensigns) Otter Smit and Albert Janz. Wiebbe was made a Sergeant (later a Lieutenant) and the other two corporals with a substantial increase in pay. It seems a shame that we have so much information about the bad guys and yet very little about the real heroes of the story. 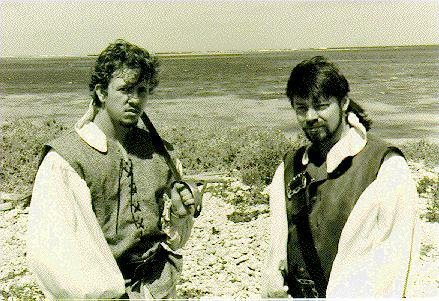 The Documentary went to air in Perth in September 1995. Under the final title of "Shipwreck Coast" the presentation was in two halves with the first dealing with the Batavia story. Video copies of the documentary can be obtained from Prospero productions (contact info below).